Three years ago, I thought it would be a great idea to run a week totally dedicated to cybersecurity awareness as part of European Cyber Security Awareness Month. Since then, Security Serious Week has developed into a series of fun, entertaining, informative events that get the industry together and, at the same time, educate those that aren’t necessarily from our industry but want to learn how to become more security savvy. This year, it kicked off on 1st October with a flash mob in Trinity Square Gardens which had over 70 companies offering their one-liner tip on how to become more security savvy in 10 words or less. Canon UK, who is a great supporter of the Week, printed each slogan on a huge canvas for each company to hold up as part of the flash mob. We had a whole wealth of supporters from Government departments such as the Department of Culture, Media and Sport, ActionFraud and The Home Office through to Police constabularies from Bedfordshire to the City of London. Companies such as Publicis Groupe and Channel 4 attended with lawyers from Cordery and Cooley, as well as representatives from large cybersecurity vendors from the very biggest to the very smallest. Mimecast then kindly invited everyone to the pub for pizza where there was more pizza than we could ever have eaten in a week – so we all ended up eating it for days after; and let me tell you, heated up pizza in a frying pan is something else!! 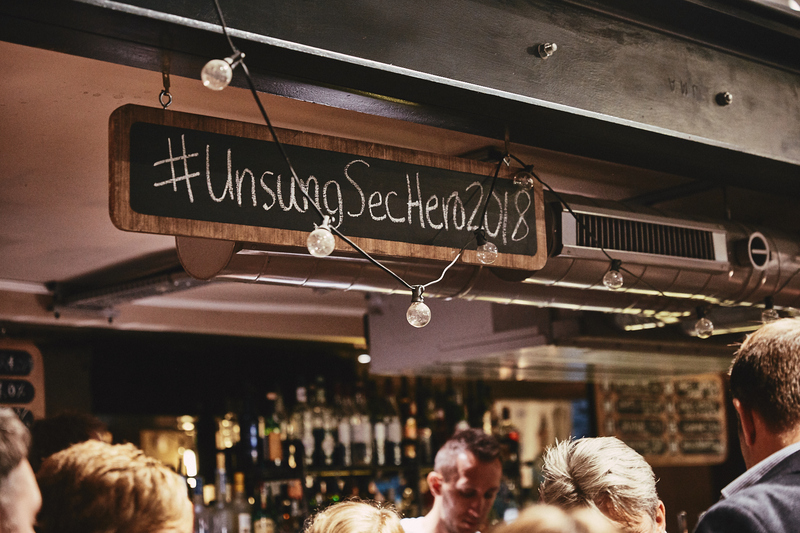 What scares me is, like a mad woman, I then decided to hold our third Security Serious Unsung Heroes Awards on Wednesday 3rd, where we ended up having queues of people waiting to get into our “piss up in a brewery” party – with over 200 people attending. Eskenzi does love to hold a party, especially if it means loads of wonderful food and drink; and this really was a party to be remembered. What’s more, everyone got to circulate, meet new contacts and do business at a very high level. I’m a true believer that’s how business is done, over mini fish and chips, pork sausages and a gin and tonic. Honestly, the real reason for holding these awards was in protest to all those horrid award ceremonies I’ve been subjected to over the years where I’ve had to pay exorbitant amounts to sit next to dreadfully boring people and clap unwillingly for vendors who have paid to win. We all know what a farce they are, so the idea of these awards is to celebrate the very people who do the work at the coalface, not products but people who work tirelessly behind the scenes protecting our systems and workforce. 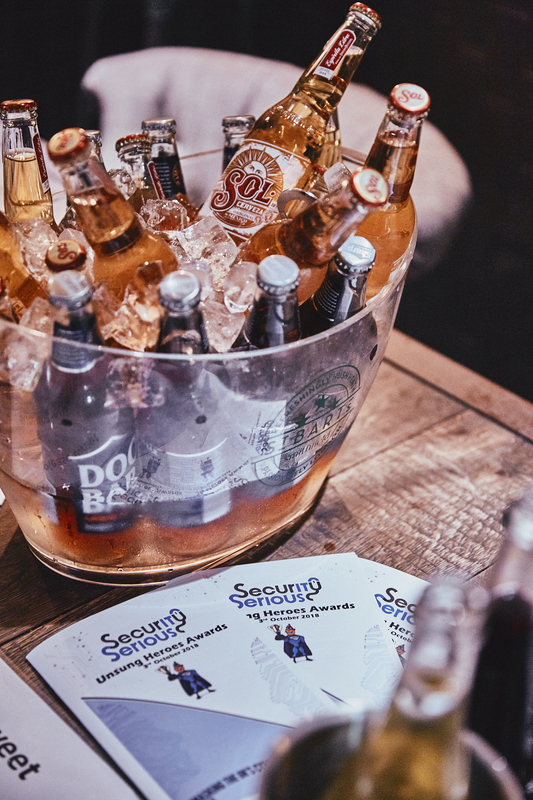 We’ll be doing Security Serious Week again next October and always looking for fun ideas to get the industry together, so if you have any just let me know or if you would like to sponsor the awards we’d be delighted to have you on board.